Do I have to prepare an accounting? 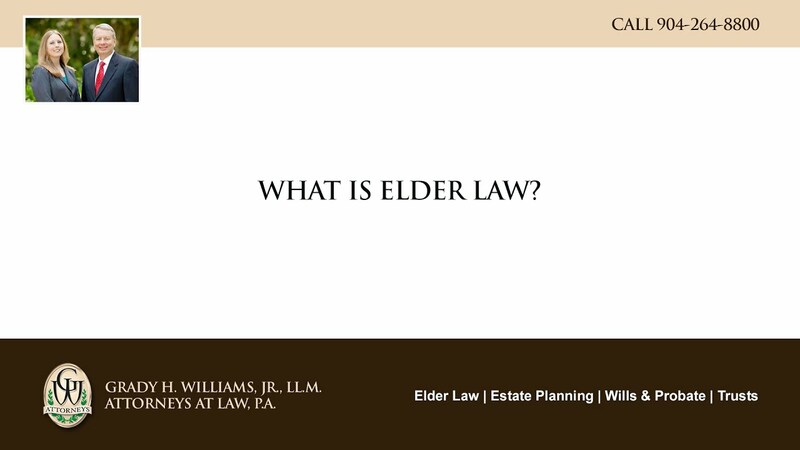 Do all attorneys practice Elder Law? Do I have to be wealthy to set up a trust? Do I have to be in my home state when I make my will? Can there be more than one personal representative? Can the estate attorney also represent me as a beneficiary? Can my power of attorney change my trust document? Can my power of attorney make or change my will? Can my estate avoid paying a personal representative’s fee? Can I prevent a daughter-in-law or son-in-law from benefitting from my child’s inheritance if they get a divorce? Can I pay the decedent’s debts even if the creditor has not filed a claim? Can I name a trust as the beneficiary of my life insurance policies, annuities, and retirement accounts? Can I make provision in my will for my pets? Can a personal representative hire an accountant? As the primary caregiver, how can I get a break? Are there legal presumptions or preferences on who should be the personal representative? Are there alternatives to the formal administration of probate? Are the rules for Medicaid different in each state? Are the eligibility rules for community-based Medicaid services the same as for nursing home Medicaid? A creditor has filed a creditor’s claim. What do I do now? Are there advantages to a power of attorney over a guardianship? Are there ways for me to protect some of my assets and still be eligible for Medicaid benefits? Can I add my daughters or sons name to my bank account instead of having a power of attorney? Can I be barred from Medicaid if I just moved into Florida? Can I give my agent power to make health care decisions for me? Can I give my agent under a power of attorney the power to make health care decisions for me? Can I pre-plan and pre-pay for my funeral and burial expenses? Can I require my agent to provide me a monthly or annual account? Can I retain control of my assets while simultaneously protecting them from the reach of nursing homes? Can my mother give away $10000 with no problems? Can my mother give me money when she moves into my house? Do I have to wait 5 years after giving anything away to get Medicaid? Do I need a living will health care surrogate and power of attorney? Do I need a new asset protection plan, trust, or will if move to a new state? Does a revocable living trust offer asset protection? How can a trust prevent a guardianship proceeding? How do I decide if I want to take early retirement? How do I figure out what the penalty period is for transferring property? How do I go about getting services to come into my home and have Medicaid pay for them? How do I know if I am eligible for veterans benefits? How do I select a nursing home? How does someone apply for Medicaid benefits? I am single. What happens if I have to go to a nursing home? I cannot afford to keep up the long-term care insurance policy anymore. What should I do? I heard that I am only allowed to keep $50 of income if I am in a nursing home. Is that true? How much does nursing home care cost? 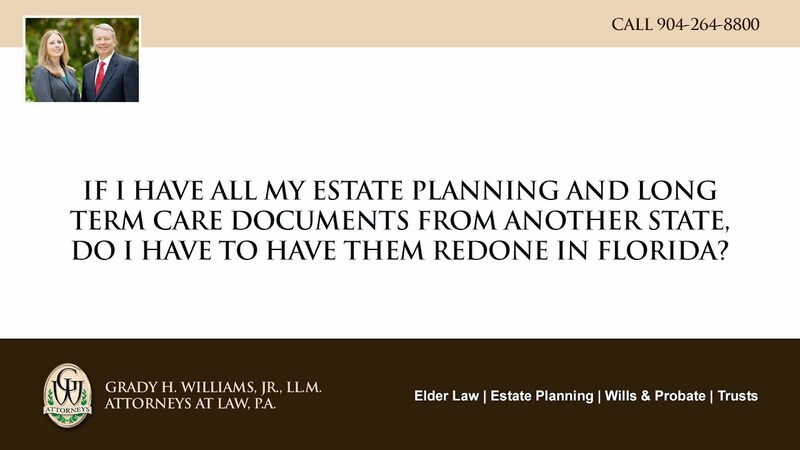 If I have all my estate planning and long term care documents from another state, do I have to have them redone in Florida? If I need a nursing home, will my spouse and children lose everything? If my mother or father is not able to handle her or his own financial matters, what can I do ? 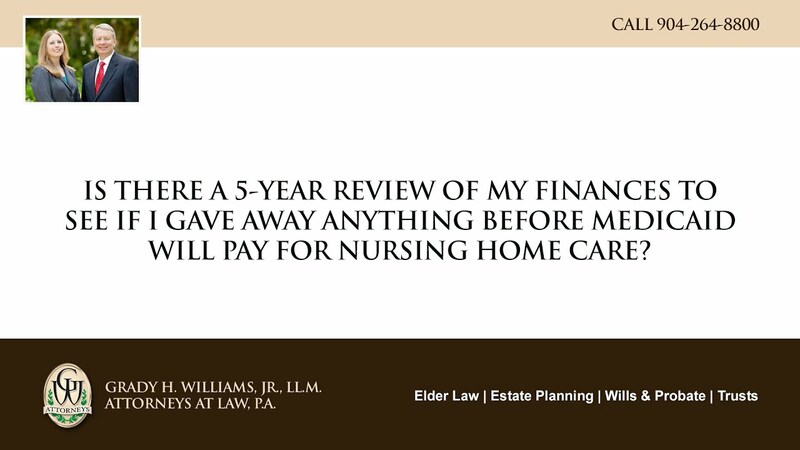 Is there a 5 year review of my finances to see if I gave away anything before Medicaid will pay for nursing home care? If I go into a nursing home and my wife stays home, how much of my income can she keep? Is there any way I can prevent nursing home costs from wiping out my parent’s savings? My aunts neighbor has been taking things out of her house. I do not think my aunt realizes this. What can I do? My dad fell in a nursing home and was seriously injured. What can I do? My father is not able to handle his own financial matters and is doing odd things. What can I do? My father’s agent, under his power of attorney, has cleared out his bank accounts. What can I do? 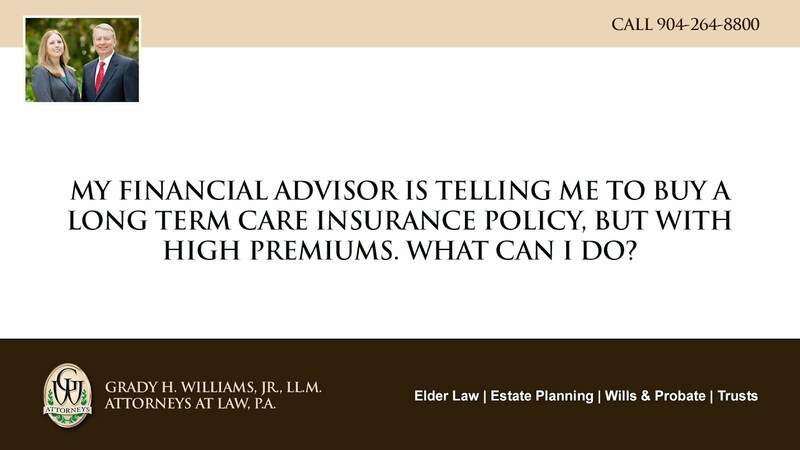 My financial advisor is telling me to buy a long term care insurance policy, but with high premiums. What can I do? My sister is trying to keep me away from my mother. What can I do? Should I add my family members name on my assets and avoid a will? Our entire family works together to take care of our mother. Can we be paid for the things we do for her? What are some of the common mistakes in Medicaid asset protection planning? What are the Medicaid application and eligibility requirements? What are the remedies in Florida if a nursing home patient is being neglected? What do I need for asset protection and Medicaid planning? What documents do I need before we proceed with a Medicaid application? What if I do not want to go to a nursing home are there ways to get services brought into the home? What is an advance medical directive and a living will? What is the aid and attendance benefit program? What steps should I take to protect the house in case of nursing home costs? Why should I use an elder law attorney to help me apply for Medicaid benefits? Will having a power of attorney and health care surrogate in place prevent the need for a guardianship? Will my family need to pay estate taxes at my death? Will my loved one get worse care in the nursing home once Medicaid starts paying for his her care? Will the government or state take my house if I go into a nursing home? Who gets notice of the petition for probate? What income is available to a spouse that is not in need of Medicaid for long term care benefits? What happens if the Veteran’s Administration decides I am not eligible for veteran’s benefits? What documents will I need to complete a Medicaid application? What do the designations transfer on death, payable on death, and in trust for mean? My parent died with a will and disinherited me. Can my parent do that in Florida? My husband died without a will. We have two children. Will I inherit everything? If I have several children, can I treat them differently in my will? If I become incapacitated, will I need a durable power of attorney if I already have a living trust? If I am named as personal representative in a will, do I have to serve? 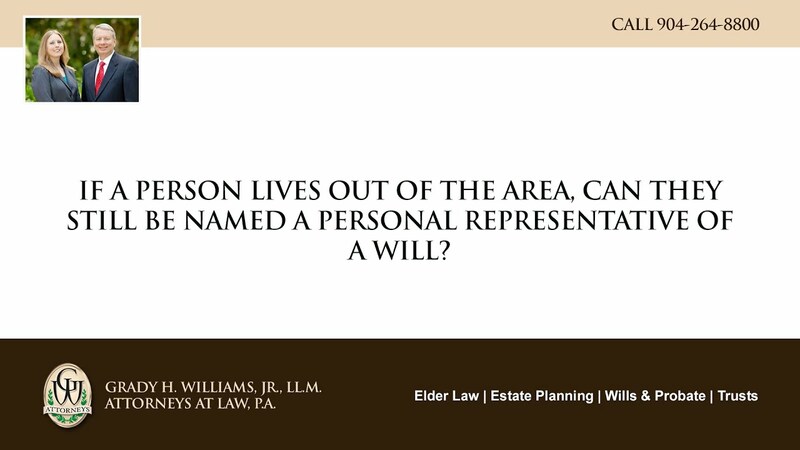 If a person lives out of the area, can they still be named a personal representative of a will? I thought that when I retired I got Medicare. Is that true? I made a will, but lived in another state. Now I live in Florida. What should I do? I have long-term care insurance. Do I need to do anything else to protect my assets? I made a will 20 years ago when my children were small. Do I need to change it now? I did some estate planning in the past with my financial advisor. Should I still consult an estate planning attorney? How can I leave specific items to particular people? Does everybody have to worry about estate taxes? Does all personal property and real property have to go through an estate when a person dies? Does a personal representative need to hire an attorney? Do items have to be valuable to be mentioned in a will? Do I receive a payment upon the death of my spouse? Do I need to insure estate assets? Do I need to file tax returns for the estate? Do I need an attorney to make my will?